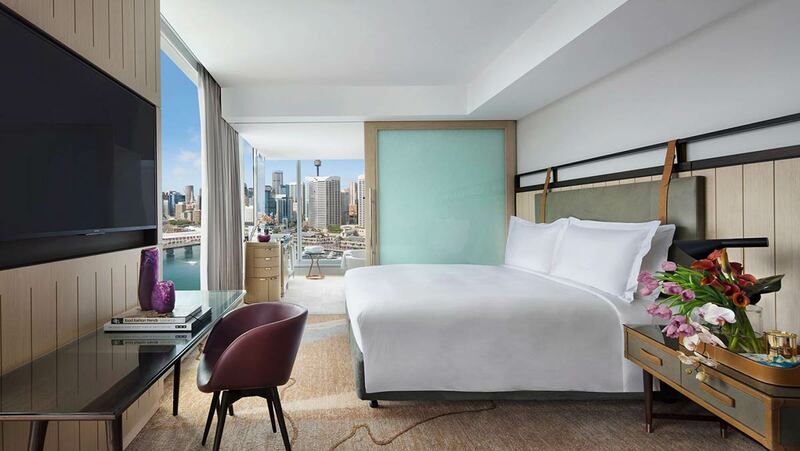 A short stroll from Sydney’s CBD is Sofitel Sydney Darling Harbour, the recently opened hotel soars above its surroundings, claiming the appellation of being the district’s tallest building. This was my home during Mercedes Benz Fashion Week Australia; my restorative retreat and soothing sanctuary from the bustle of all of those fashion shows. Each Sofitel promises a one-of-a-kind, luxurious hotel experience so I was excited to discover what special features would make Sofitel Sydney Darling Harbour so unique. Officially opened in November 2017, the hotel is sleek and sophisticated with the finesse you’d expect from interiors infused with contemporary French Art de Vivre and local culture. My luxury corner room was on the 21st floor of 35. I actually gasped when I first entered the room. Floor-to-ceiling windows light to flood in, giving both a feeling of spaciousness and spectacular sweeping panoramic views of the harbour. An eclectic assortment of photographs welcomed me to the room, as did a charming greeting card, chilled champagne and delicious macarons. I would later soak up the views as I lay on the giant MyBed™ (a Sofitel trademark) watching the sunrise and the city come to life. 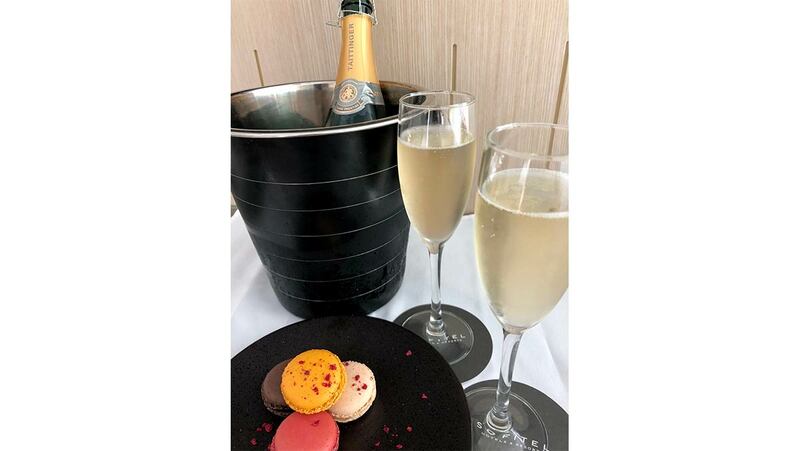 Chilled champagne and macarons – my favourite! The luxury of the hotel was evident with touches like a pillow menu (which I regrettably didn’t use, as I collapsed into bed every night after a gruelling show schedule) and a bath menu, offering a delicious array of bathtime treats. The overall style of the room had hints of practical playfulness – from the photos on the wall, a headboard that reminded me of an old-world suitcase, and art-deco inspired cupboard that contained wine, spirits, a kettle and a Nespresso coffeemaker, along with a selection of Nespresso pods. The room boasted some great features. Underneath the enormous SMART TV was a large desk, which was a perfect work space. The marbled bathroom provided a leather kit containing high-end Lanvin Orange Ambre shampoo, conditioner and body lotion along with an assortment of toiletries. The main restaurant, Atelier by Sofitel, is on the third floor. I took breakfast here in the mornings for my essential coffee and pastry fix to set me up for the day. The buffet catered to every possible appetite. 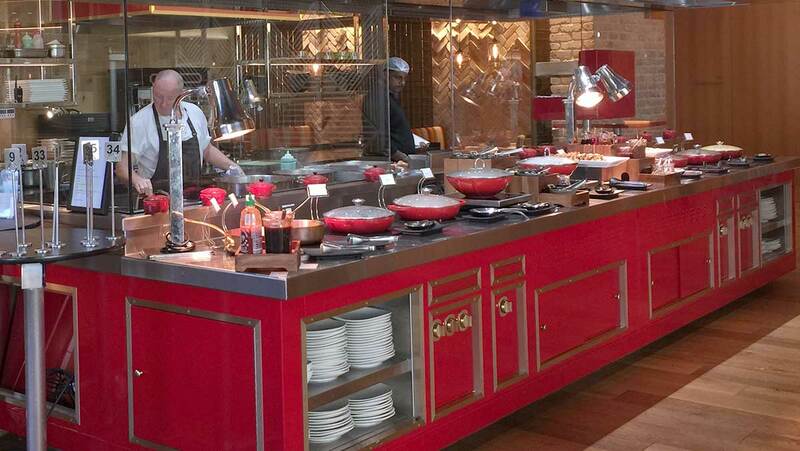 There was a divine pastry station, a hot section that included made-to-order egg dishes, as well as a cold station stocked with every fruit you could imagine. 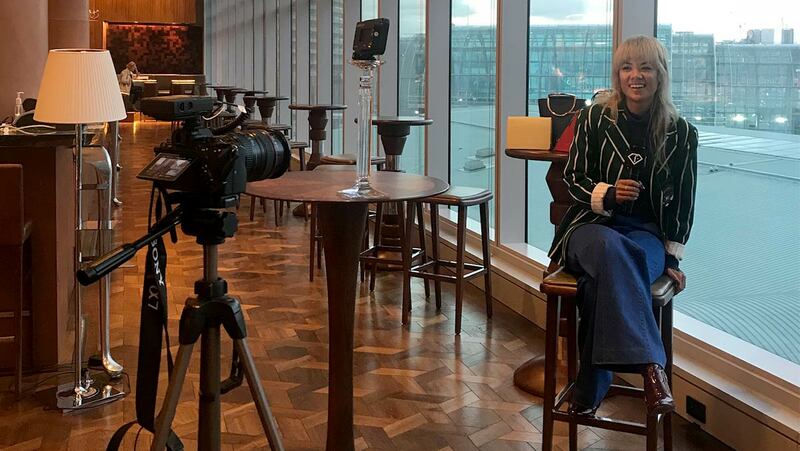 We conducted several of our interviews at the Champagne bar, also on the third floor; the stunning backdrop and serene atmosphere offered the perfect setting for influencers Josh Hewston,Carissa Walford and accessories designer Larissa Zadia Leong. 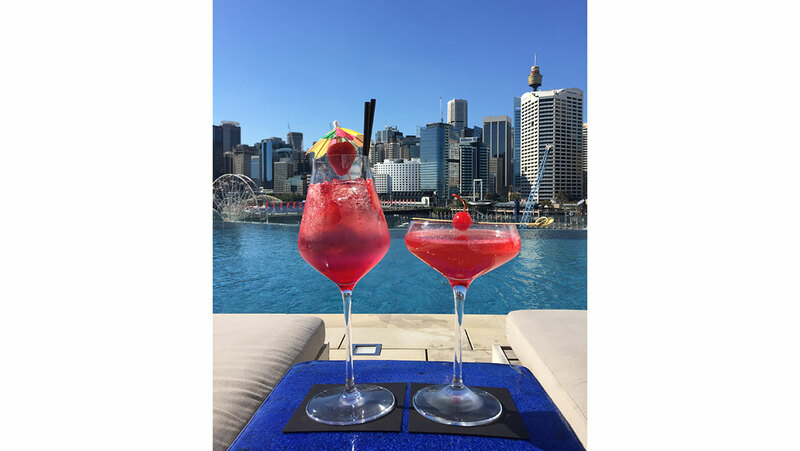 The hotel boasts a stunning infinity pool and poolside bar on the fourth floor that looks out over Darling Harbour and Sydney’s skyline. The pool is heated to perfection and there are plenty of sun loungers to soak up that famous Syndey sunshine. There is also a fully equipped gym which, shamefully, I didn’t use – I’m blaming my busy schedule (again). However, the one thing I did notice was missing from the premise was a Spa. I could have used a foot massage after long days in heels and was surprised that a spa facility was missing from an establishment such as this. Everything else was as you would expect from Sofitel, the staff delivered impeccable service; from the valets in the driveway to the housekeepers and every person in the chain. A warm “Bonjour” and smile welcomed me at reception, and a was greeted by name when I called the concierge. All too soon, MBFWA came to an end and with it, regrettably, my Sofitel Sydney Darling Harbour experience did, too. 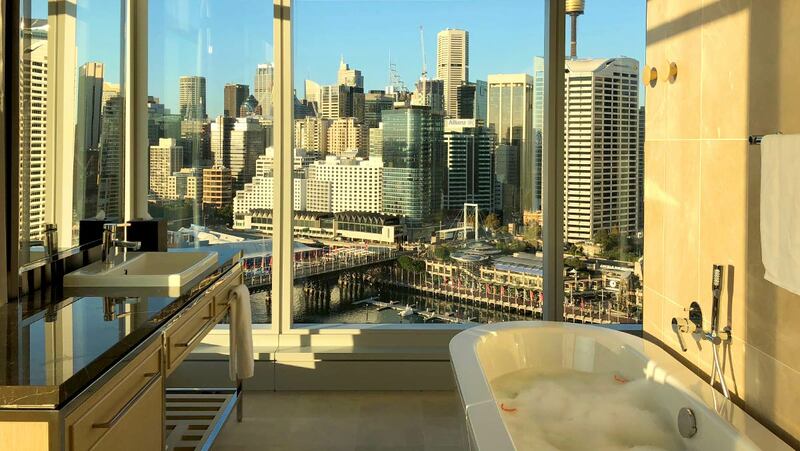 If you are in town and looking for a room with a view, the Sofitel Sydney Darling Harbour is a must-stay.